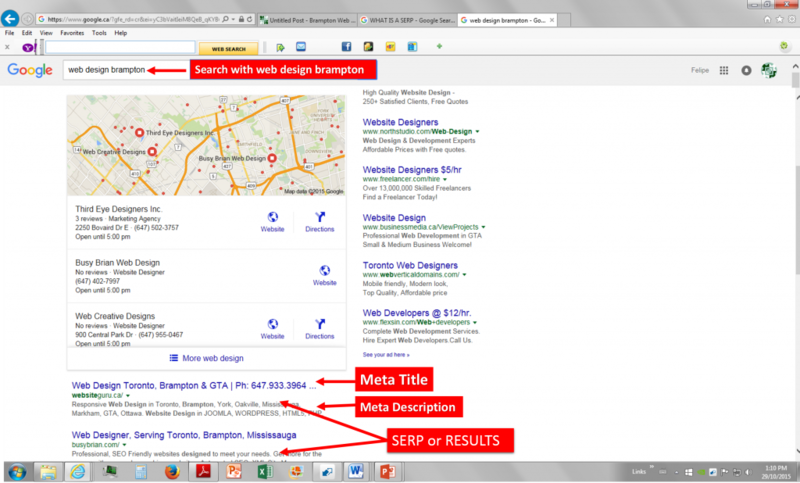 What is SERP (Search Engine Ranking Page) ? What is a Meta Title ? A meta title shows the name of a web page. The metal title is very important for helping the page rank higher in search engine results and should be written to cater to search engine robots first and to site visitors second. The meta description is used to describe the current Web page. It provides a short summary of the page so that readers can decide whether the page is what they are looking for or looks interesting.